A list of five digital campaigns where the brand used real life stories to bring alive its message. In a country obsessed with its celebrities and willing to go to any depths to feel closer to them, brands and political parties have often roped in celebrities to endorse them. That way it is easier to make news and get their message across. But these are changed times. The world is hungry for everyday heroes and their inspiring stories. Brands are recognising that and leveraging that to serve their communication needs better. It is easier for today’s generation to connect with and be inspired by one of their own, and make a connect with the brand message too. For the launch of its compact sedan Figo Aspire later this year, Ford had kickstarted a pre-launch campaign called “What Drives You?” The objective was to discover the aspirations driving modern India, much like the new sedan that reflects the needs of the young consumer. And to discover what young India aspires for, Ford roped in the very versatile Farhan Akhtar as an anchor to bring forth passionate stories of real life achievers that included Phanindra Sama, Co-founder & CEO, RedBus.in, Rajat Tuli and Rahul Anand, Co-founders, Happilyunmarried.com, Indrani Medhi, Researcher, Microsoft Research India and Lakshmi Pratury, Curator, INK. Each of them shared their story in a drive-by interview with Farhan. JSW Steel, one of India’s leading private sector steel producer from the JSW Group wanted to celebrate the steely determination of young men and women in the country. The company launched ‘Will of Steel’ – a campaign that would help recognise, appreciate and give support to aspiring people. As the face of the campaign, it roped in Geeta Phogat, the first Indian woman to win a Gold for wrestling at the Commonwealth Games in 2010. Growing up to be a wrestler was never easy for this woman belonging to a small village in Haryana called Balali, the hotbed of patriarchy and regression. Having a wrestler father who always encouraged his daughters into wrestling further intensified the societal hurdles for this family. Defying all forms of resistance from their community, Geeta wrestled under the constant encouragement and guidance of her father truly reflecting a ‘will of steel’. Mountain Dew, PepsiCo’s citrus flavoured carbonated drink recently extended its brand ideology of rising above fear to emerge victorious (Darr ke aage jeet hain) to making a name by taking a risk (Naam bante hain risk se). Although the TVC stars brand ambassador Hrithik Roshan, the brand has brought on board real achievers who have risked their lives to make a name in history. The brand roped in Padmashri Arunima Sinha, the first woman amputee to climb Mount Everest, all with the help of a prosthetic limb and a rod in the other leg. Insurance brand, Max Life Insurance took a realistic approach in its digital story-led campaign called ‘Second Chance’. The brand created an online platform for housing true stories of people who have had a close encounter with death. To start off, a series of three films were created starring Avani Bhati, Dr. Raj Anand and Shalabh Goglani, all of whom have had a very close brush with death. The importance of life insurance was told to a viewer through the stories of these people who experienced a second chance at life. This is the real story of Shalabh Goglani, an IT professional who took his life for granted until a near fatal accident makes him realize how precious he was for his family. The story includes inputs from his wife and parents too. The brand launched the ‘Red Ramp Project’ wherein a ramp was built on Kiri beach in Goa. 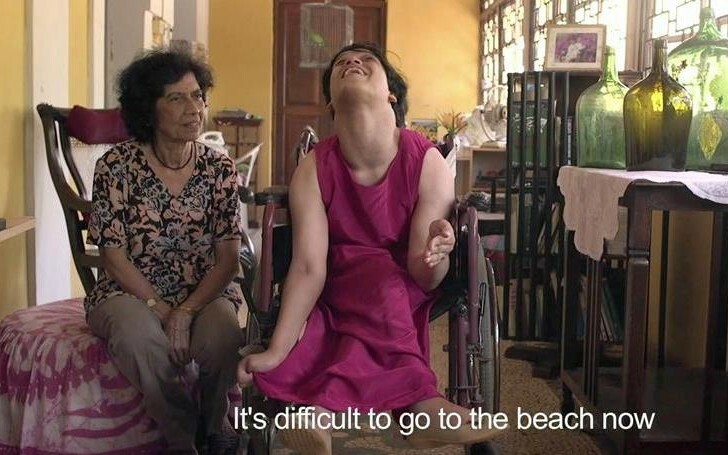 Disabled people could now visit the beach via the tiled ramp and feel the waters lapping at their feet. A campaign video was created with three protagonists who had varying physical challenges. The film showed how this ramp helped them fulfil a long awaited dream – to visit the beach. This is the story of Fredrika Menezes, who has cerebral palsy, is a writer, a poet, and an author by profession; Salil Chaturvedi, a paraplegic, is a writer by profession who has represented India in Wheelchair Tennis and is the only disabled person to have sailed Mumbai to Goa; Anuraag Khandelwal, who has polio, is the ECD at creative agency Soho Square, whose work has won many national and international awards.